The whitman Hanson girls lacrosse team defeated Quincy with a final score of 11-5. 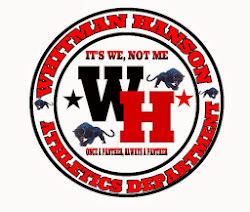 Whitman Hanson was led by junior Stephanie warn who finished the game with 4 goals and 1 assist. Senior Jackie Sullivan added 3 goals and 3 assists in the victory. Goalie meghan mahoney had a great game and finished the game with 13 saves. The panthers are now 2-2, 1-2 in the patriot league.